With the popularity of BOTS... how many FANS are actually real? With the help of Social Audit Pro, you can now investigate any profile's followers and determine if they are legitimate/active Instagram users. Have you ever been curious to learn about the people that are following you on Instagram? Or have you ever wondered how active another profile's followers are? We built Social Audit Pro to give you the power of Analytics & to help provide you with valuable information about any public Instagram account. Our initial release of Social Audit Pro was built to provide Analytics for Instagram users. Soon we plan to branch out to FaceBook, Pinterest, Twitter and other social networks. Social Audit Pro is VERY easy to use. Once you try our program, we promise you will instantly fall in love with it. Social Audit Pro does a FULL audit of yours or someone elses Instagram fans. It then will provide valuable Analytics once the audit is complete. Will it work on any device? Yes! 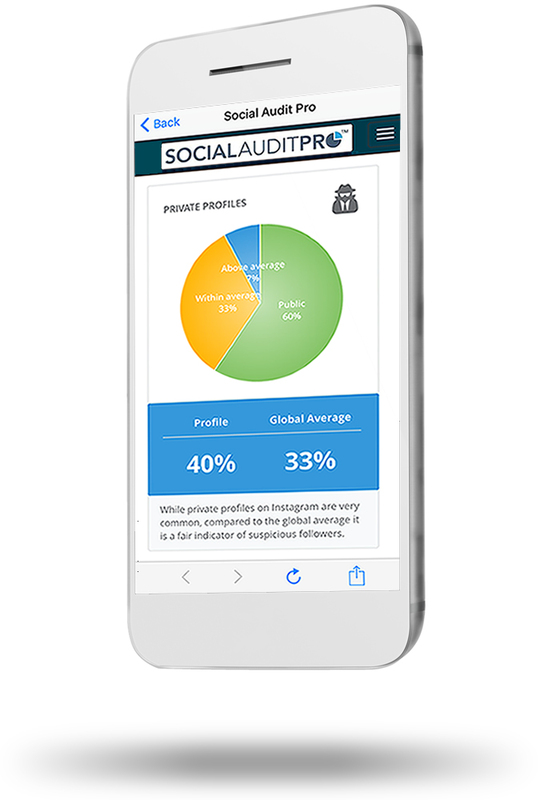 Social Audit Pro is 100% cloud based and will work on ANY device that can access the web. Which Social Networks will this work for? Currently Social Audit Pro will work for Instagram. Soon we plan to branch onto FaceBook, Pinterest, Twitter and other social networks. Do you have a feature request for Social Audit Pro? We LOVE hearing of new ways to help improve our service, so please let us know! After auditing your account, you can optionally remove all your followers who have been flagged as fake or dormant using our software. Aim for 100% active, legitimate followers! When I saw how many of my followers were basically non-existent, I couldn't believe my eyes!! Very useful! 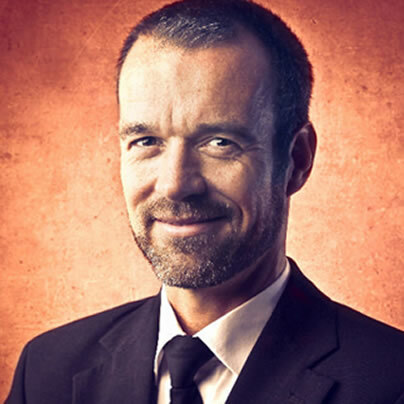 Thanks to Social Audit Pro I can compare my clients profiles and see how many people they are REALLY reaching. 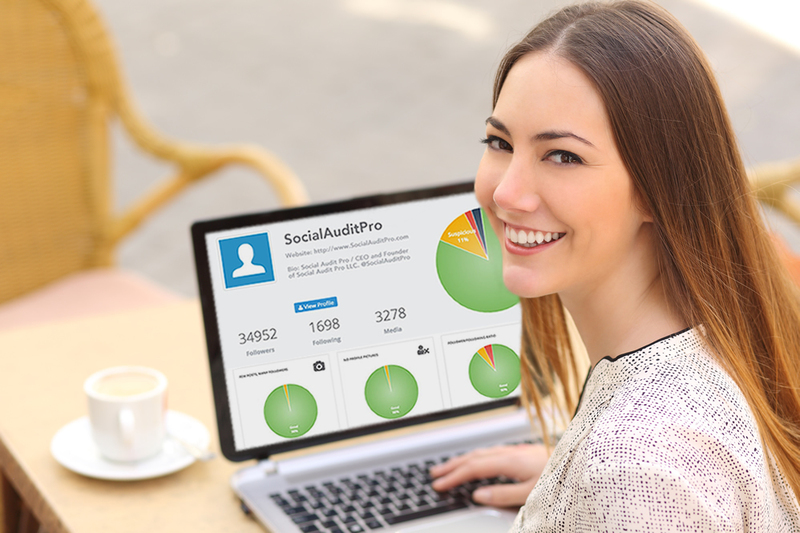 Social Audit Pro is a supremely powerful tool and an excellent concept! My reach has significantly dropped thanks to these random blank profiles stealing all of my impressions. Larger packages are available at checkout. ©SocialAuditPro.com - All Rights Reserved.